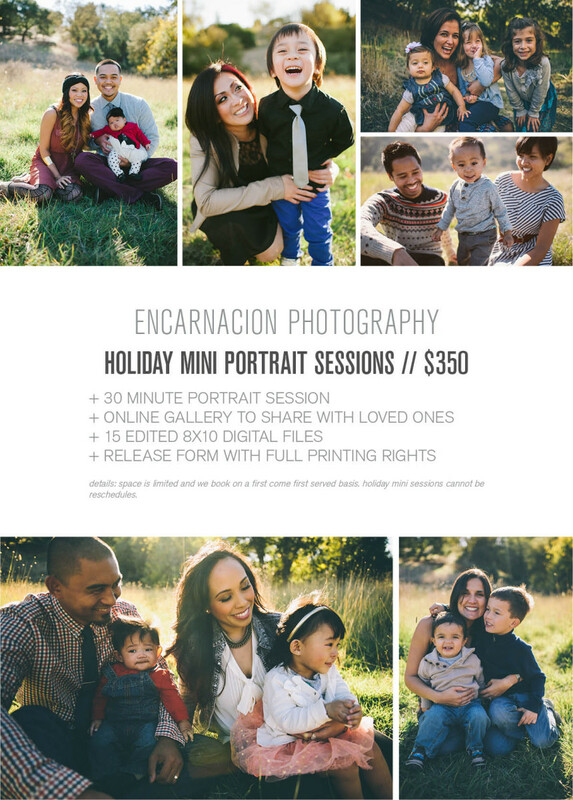 For more details feel free to email us with the subject *HOLIDAY MINI SESSIONS* at hello@encarnacionphotography.com. You can also sign up to request a time slot by clicking here and filling out our request form. Please note that filling out the form does not complete your booking. Once we receive your request we will send you a confirmation with all the instructions on how to complete your booking.